Clone Wars Painting. . HD Wallpaper and background images in the étoile, star Wars: Clone Wars club tagged: wars star wars clone wars animated Jedi star painting. This étoile, star Wars: Clone Wars wallpaper might contain anime, bande dessinée, manga, and dessin animé. Yeah it is, wish I could paint like that . . . This painting is incredible! Nice likeness of all the characters. Very nice! 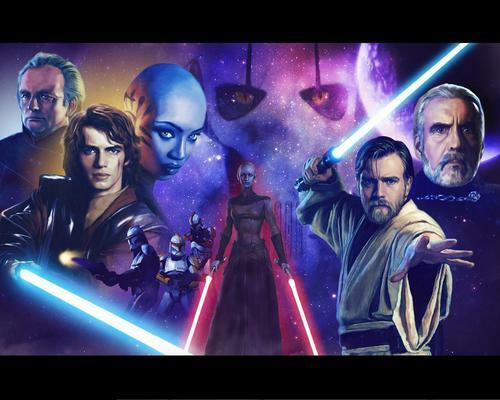 Cool to see Ventress in there aswell!